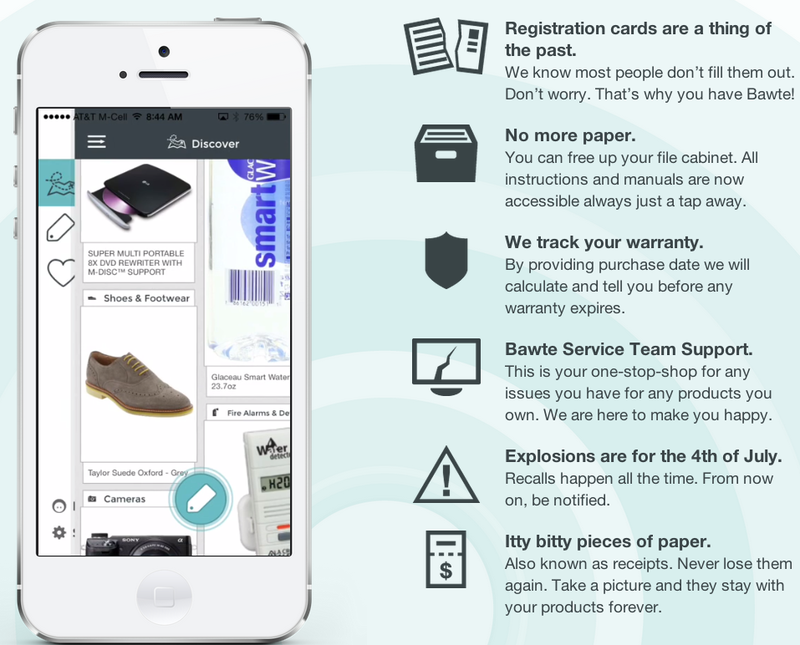 An App To Store Your Warranties | Brand On! Who likes sending in warranty cards with new purchases? I never do! But I always think it would be nice to know about critical product updates or recalls, without feeling like I have to “give up” my personal information to get it. Bawte (pronounced “bought”) solves this dilemma. It’s a way to take a personal inventory of your stuff and get important notifications. And you can do this for items you already own, not just new purchases. Bawte also offers free support to help find answers about products or point you to the right resources.